Q: What does a normal day at Keno Kozie look like for you? 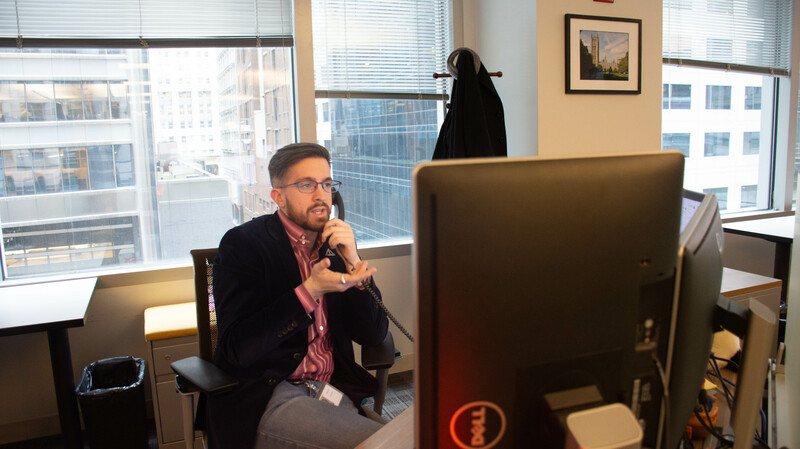 A: A normal day for me on the help desk begins with coordinating and communicating with my dozen clients to facility announcements, hand-offs, ticket review, assignments and more. I am also responsible for my analyst’s training and scheduling, updating documentation across my clients, while also managing the Striker team which dynamically moves between groups to always ensure our service levels are maintained. Between the AHSG and the Striker team, I support a total of 30 clients and help manage 17 analysts. Q: Where do you spend your time outside of Keno Kozie? A: I do a lot of work with Theatre Above the Law. They’re a relatively new storefront theatre company in Chicago. They are a non-profit charity organization that focuses on mentoring aspiring theater professionals through their productions and school programming. I serve as a member of their casting and literary teams and am also an inaugural ensemble member. Q: Why is the work of this organization important? A: It allows kids to dive into theatre. The organization allows children to test the waters as a career, or simply as a way to expand upon their creativity. Middle and high school students are able to build their confidence, learn about themselves and the craft, and even begin planning for their futures. For adults, the theatre provides quality entertainment that is both escapism and thought-provoking. Q: What is something you wish others understood about the work of this organization? A: I wish everyone here understood the size of the impact a storefront theatre company. By investing in these organizations, we are not only allowing ourselves to grow as people, but are also investing in the growth of generations to come. Q: Are there any events or shows coming up our readers could attend? A: Theatre Above the Law opens Iron Kisses on April 5th and then AMICABLE on May 10th. IRON KISSES is a great two person show with an understudy cast of young performers. AMICABLE is a brand new original work set on a train and inspired by Chicago’s transit system. Q: How does your work with this organization help your work at Keno Kozie? A: Working with Theatre Above the Law gives me a chance to express myself artistically, allowing me to recharge from the office environment and give me a renewed perspective when I return. This sort of “reset” clears my mind, and aids in finding creative solutions to the issues that I encounter in my day in the help desk.